The GoFit Ultimate pull-up bar is a perfect training tool to target the ABS, back, shoulders or total upper body. 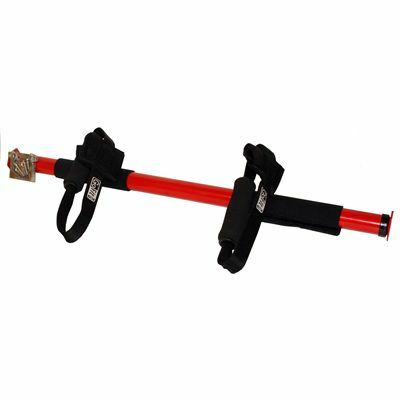 It comes with one heavy duty adjustable chin up steel bar, two adjustable grip handles and mounting hardware that includes 4 silver weight bearing brackets. The bar can be adjusted to the size of the door up to 90cm opening width. For pull-ups and other suspended exercises the bar can be mounted high on the door frame, while mounting the bar low on the door frame will allow you to practise press ups or sit-ups. It features 160kg (350lbs) weight capacity. for submitting product review about GoFit Ultimate Pull-Up Bar with Handles.